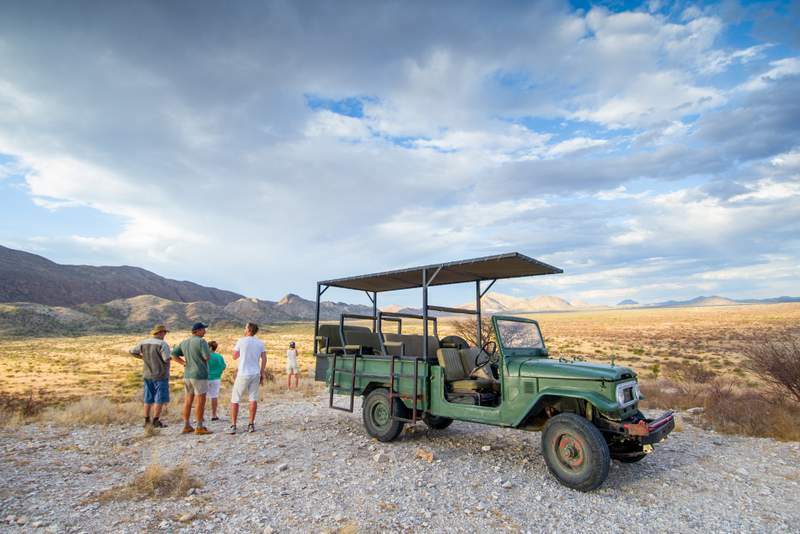 In the heart of the Etusis Marble Mountains, you will find one of Namibia’s most fascinating landscapes, where you can get close to the wild animals in open 4×4 vehicles, on horseback or on foot. Volker and Susanne Ledermann had a dream: to preserve a piece of original Africa. In 1993 they fulfilled this on the back then agricultural farm Etusis. The Etusis Nature and Game Reserve was gradually expanded to its 21,000 hectares today. Other than most wildlife reserves in Namibia, we consciously avoid fences, which suppress the natural migrations of the wild: zebras, antelopes, leopards and many other animals have complete freedom to roam on Etusis. 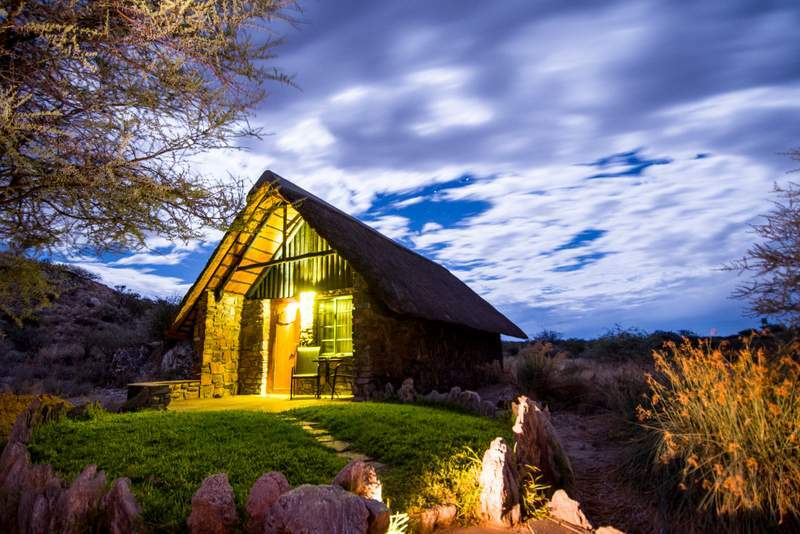 The Etusis Lodge was built a little later in the heart of the reserve – with a gentle ecologically sustainable tourism concept, in which mankind understands herself as a guest. This has created jobs for the local community and, last but not least, we are trying to give each of our guests an impression of the uniqueness of Namibian nature and the necessity to preserve it. One of the most spectacular landscapes of Namibia with the Etusis marble mountains, the Otjipatera mountain range, the Etusis waterfall and the Etusis plain. The opportunity to experience nature in a special way – whether in open Safari vehicles, on horseback or on hikes. You do not only come as guests but become part of the Etusis life. Whether eating together at the long table on the terrace or talking at the evening campfire about the experiences of the day while the Zebras come to drink at the waterhole just across the dry riverbed. 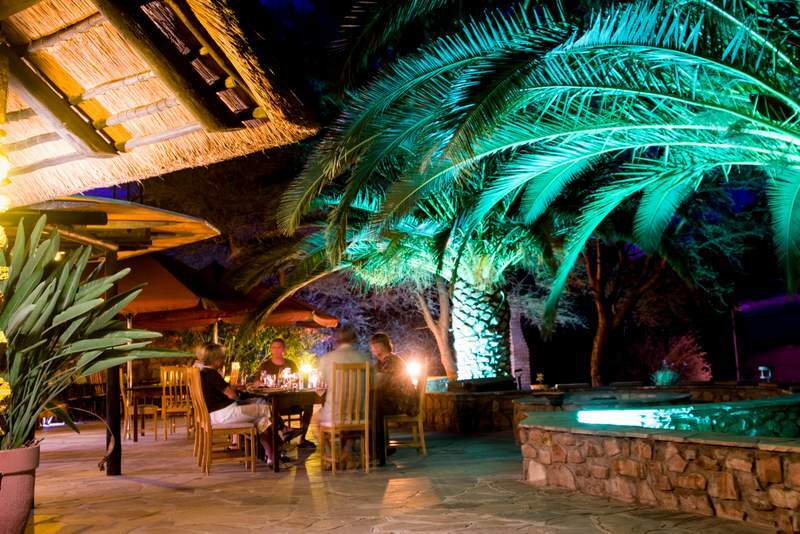 The Etusis Lodge and Horseriding is located halfway between Windhoek and Swakopmund, nestled in a more than 21,000 hectares, mountainous wildlife sanctuary. Experience unforgettable moments with us on a horseback ride on a Basotho horse, a scenic drive over the very extensive nature reserve or a hike in the surrounding mountains. Enjoy – the sundowner in your hand – the magnificent moment when the sun sets behind the Otjipatera mountain and sharply draws it contour while Jupiter rises abive. Relax by the pool in our small green oasis in the middle of the semi-desert. 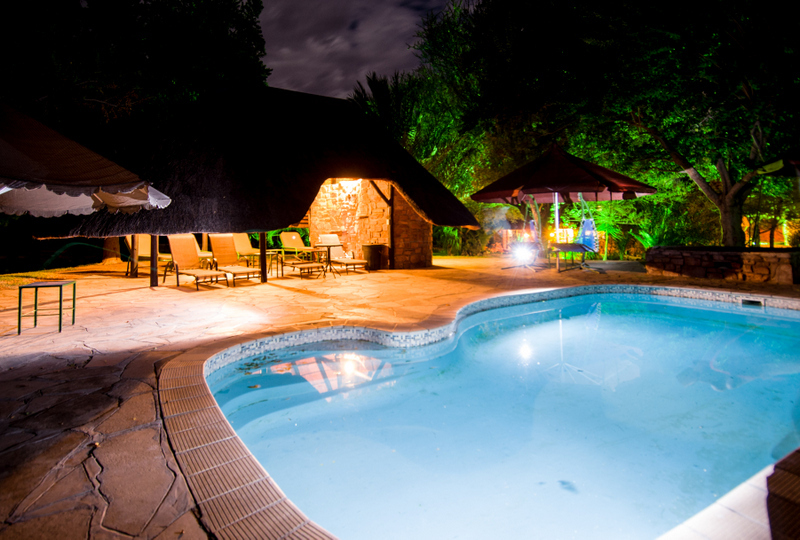 We offer different accommodation options from the self-catering campsite to the private bungalow. Etusis – in English “the place where you can dive deep” is named after the deep lake by the waterfall and is both historically and scenically worth a trip. But we also invite you to dive deeply into a true African Nature experience.